Long before I went to graduate school to become a therapist, I was a copywriting professional. Before blogging existed, there were newsletters and I wrote articles as a “ghost-writer” for numerous corporate organizations and small businesses. I’ve been a paid blogger and columnist for various news and support organizations for many years. 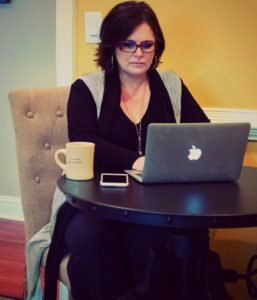 Over the past year I have been assisting therapists, coaches and other helping professionals in private practice build and grow their businesses. It is my experience that having a solid blog and quality website copy along with knowing how to leverage your blog and website on social media is KEY establishing yourself as an expert in your field and driving traffic to your site. I also have learned a thing or two about SEO (Search Engine Optimization). Most professionals in the healing and personal support industries don’t have the time, the inclination or the know-how to create and maintain a blog for business. The fact is I love writing and promoting on social media. And I love to see my mentoring clients thrive and grow in their businesses. So, I’m now offering Blogging and Copywriting Services. Send me your article draft or your page of website copy and I will edit it while maintaining YOUR voice. I will make suggestions for formatting and I send you back a spruced-up version along with a license free image if you need one. I provide quick turn-around and you keep all rights to your article. After you filled out the form at the bottom of this page, please send your article to me via email to lynn@wonderscounseling.com with QUICK EDIT in the subject line and pay using the link below. I will need your website and may need to ask a few questions so I can be sure I edit to match your voice and focus and I typically can get your copy back to you within a day or two with edits and image (if needed). You will have all rights to the content and you will have by-line as the author. I’m just your ghost-writer. You’ll have a chance to review the article and make requested edits. I will use a key word in the article several times for SEO benefit and you can then plug that key word into your SEO app/plug in for your website. After you filled out the form at the bottom of this page, please send me an (lynn@wonderscounseling.com) with subject line (all caps) PROJECT DONE FOR ME describing the kind of clients you want in your practice and the topics on which you want to be considered an expert. Be as specific as you can. I will then offer you three topic titles for you to choose from and once you choose I will write an article or website copy for you along with a license free image if needed and send it to you to paste into your blog or web page. Fee: $100 per one page project/article. You get everything in the Project Done For You description PLUS I will provide you the key words AND hashtags you need and instructions on how and when to post and promote your blog article to all major social media platforms. If you have your website in WordPress I can even access your dashboard to post your blog for you AND set up your SEO for your blog post. After you filled out the form at the bottom of this page, please send me an email to lynn@wonderscounseling.com with subject line in all caps PROJECT PLUS and we will discuss next steps to get your blog or web page and SEO up and running within the week.